Infrastructure projects in healthcare organizations seem to be enjoying attention. In a recent health IT survey we conducted, 41.6% of respondents said they will spend more on cloud technology this year compared to 2016. 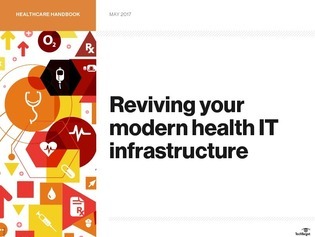 Meanwhile 20-30% of hospitals indicated they plan increased investment in IT infrastructure areas. In the midst of this infrastructure investment boom, uncover how cloud, virtualization and hyper-converged technology continue to gain interest.